Americans were just recently introduced to the force that is Australia's incredible reality show, Instant Hotel, but already, they're clamoring for more. The show's premise is simple: five pairs of Australians take turns hosting each other at their short-term vacation rentals around the country. After each stay, the guests rate the accommodation, hoping to come out on top of the competition. Although the show is branded as a Netflix original, this isn't technically the case. Australia's Channel 7 aired the first season of the competition show back in 2017. The show did so well, a second season was ordered promptly after its release. But then there was a two-year silence on Instant Hotel's front, which they broke just earlier this month on social media to announce that exciting things were in the works. So, will there be a Season 2 of Instant Hotel? Fans will be thrilled to know that there will, in fact, be a second season of this beloved Aussie show. Just a few weeks ago, Instant Hotel's official Twitter page released a sneak peek of Season 2, and the vacation rentals the group is going to visit promise to be more exciting than any of the places we've seen before. With locations spanning red desert landscapes, tropical rainforests and shimmering seasides, it's only a matter of time before we binge Season 2 as quickly as we went through Season 1. And if the hilarious clip of King Gene they posted on their Facebook page is any indication, the cast of Season 2 will be even more riveting than the first set of 10 teams. But unfortunately, there's no release date to report, other than that the show is coming to Australia's Channel 7 sometime "soon," in 2019. As for what that means for us Americans who have to wait for the show to arrive on Netflix, it's possible that the streaming platformed picked up the Aussie show with the plans of releasing the second season in a timely fashion. For now, that's all speculation fueled by my personal desire to watch Season 2, like, ASAP. Who's the new host of Instant Hotel? Back in Season 1, host Luke Jacobz (of the Australian X Factor and Home and Away) had so much trouble dealing with the contestants' drama and cattiness, he "wanted to walk out," according to TV Tonight. Luckily for him, he won't have to stick around to watch how the second season plays out. 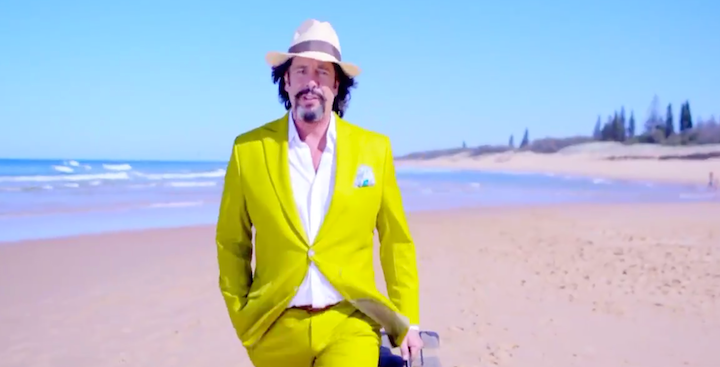 Instead, beloved British daytime host Laurence Llewelyn-Bowen is stepping in to fill Luke's shoes. Brits might recognize him from shows like Loose Women, House Rules, and Countdown. “Instant Hotel gives you the opportunity to look at where people live and judge for yourself whether it is an experience you want to share in," Laurence said in an interview with New Idea. Whether he's super neutral like Luke was, or adds a bit of British flair to the competition show, we can't wait for him to check us in to some of the most diverse locations Australia has to offer. 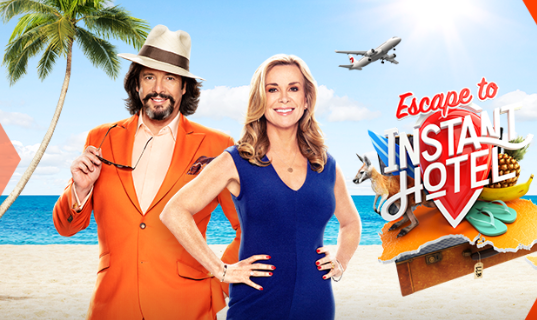 Don't miss Season 1 of Instant Hotel on Netflix, and check back here for updates on the upcoming release of Season 2.